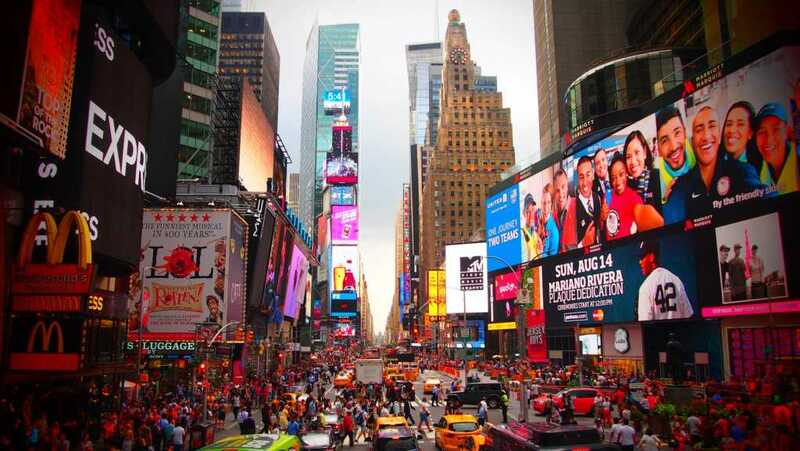 An enormous pro-life advert has been displayed in Times Square. A bustling tourist attraction, the iconic location attracts over 300,000 patrons every day. The advertisement, which stands some 50-feet tall, was produced by Students for Life of America. Given the enormous backlash to New York’s recent passing of a bill that would widely legalize late-term abortion, it is no wonder that this location was a list-topper for the pro-life group. 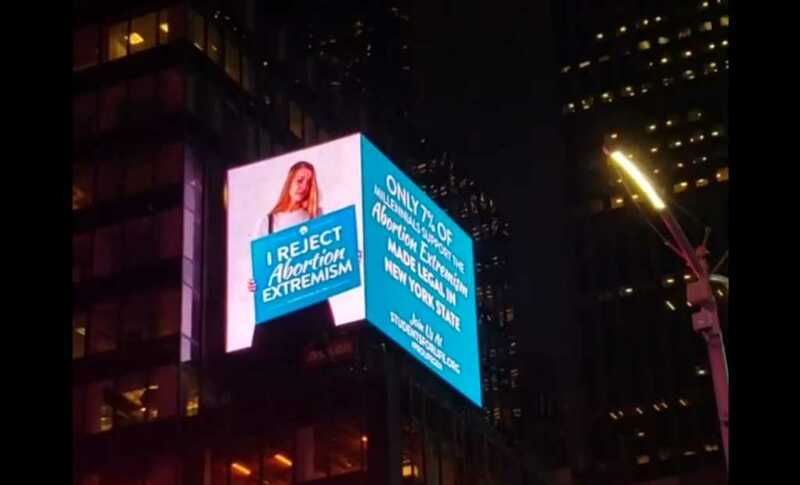 “When I asked our supporters if they wanted to send a pro-life message in Times Square, the answer was a resounding YES,” said SFLA President Kristan Hawkins, according to LifeNews. However, the prominent display was not easily arranged. “We had to fight to have our message heard as twice companies pulled the plug on our custom-made ad after intensive negotiations,” Hawkins added. The #prolifegen has landed in New York City. Help us keep this billboard up in Times Square. A donation of $27.71 pays for one-15 second showing.